When I was approached about getting a few samples from Elena Walch based on a suggestion of mine on a Snooth post, I quickly accepted. I have enjoyed some of the winery’s lower end wines in the past, but this would include one of their single vineyard offerings. 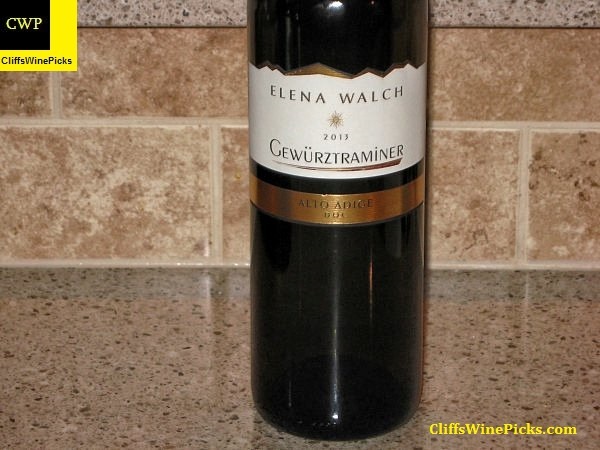 Elena Walch – the wine style is as elegant as the name. Encouraging quality and innovation, Elena Walch stood at the head of the Alto Adige quality revolution and has gained local and international esteem for her efforts. 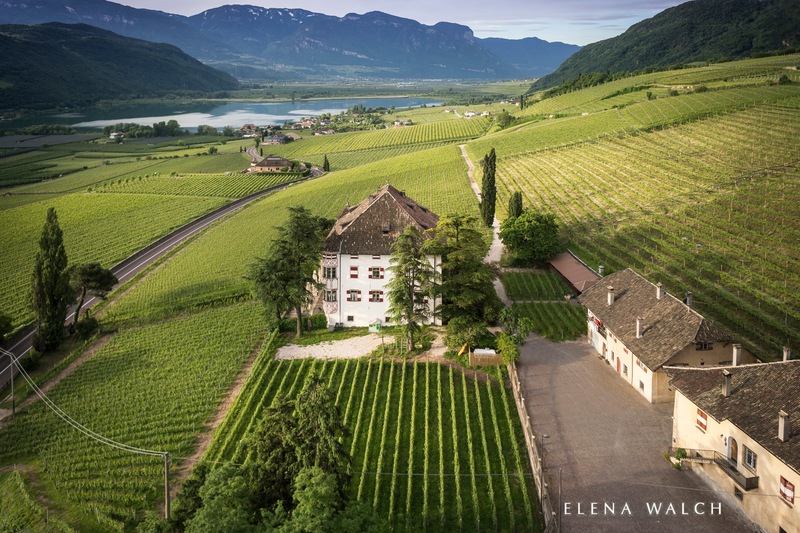 An architect by trade, Elena Walch married into one of the oldest and most significant wine families of the region and brought new, modern concepts to the traditional establishment. Now, the responsibility for the family business is being put into the hands of the daughters, Julia and Karoline Walch, already the fifth generation. Our cellar was built sustainably – from natural stone, underground – nearly 150 years ago in Tramin, and has since then been continually modernized and remodeled to become what it is today: one of Alto Adige’s longest-standing private cellars. The most modern wines are all handcrafted here, with respect for the environment and in harmony with nature and in the spirit of ongoing sustainability, using grapes from the best vineyards. The size of the production facilities and the vineyards owned by the family render the estate one of the most productive wine establishments in the region. Selezione: Mostly monovarietal wines; from our own vineyards and from leased vineyards. Single Vineyard Castel Ringberg: Monovarietal wines from the Castel Ringberg estate above Lake Caldaro. The production here concentrates on family owned vineyards, separate ageing of grapes from the individual vineyards and special attention to the terroir characteristics of the wine lots. Single Vineyard Kastelaz: Monovarietal wines from the Kastelaz estate above Tramin village. The production here concentrates on family owned vineyards, separate ageing of grapes from the individual vineyards and special attention to the terroir characteristics of the wine lots. Grande Cuvée: Our great cuvée wines are born from the idea of blending the best, but at the same time very diverse grapes from our own various vineyards. Extreme selection of the grapes and precisely determined harvest times are critical to obtaining the best quality. I would list all the goals and precedents the winery have established and follow in the name of sustainability, but this post would get WAY too long. If you are interested in this valuable aspect in the growing of grapes and production of wine, I highly recommend clicking here to read about the winery’s accomplishments. Teuwen Communications is a full-service public relations agency in NYC that specializes in marketing and brand strategies for the wine and food industries. Led by Stephanie Teuwen, the agency provides high-energy, client-focused services across multiple platforms such as media and trade relations, event production, website building, social media management as well as creative and visual services. I want to thank the wineries and especially Teuwen Communications for providing me with this opportunity to try these wines. For more information on Teuwen Communications, please click here. This 100% Gewürztraminer is made from grapes coming from small vineyards around the villages of Tramin and Caldaro that were two to five years old. After harvest the grapes were carefully crushed and pressed. The fresh must was clarified at low temperatures then fermented at 68° F in stainless steel tanks. The wine was aged in stainless steel tanks on its fine lees for several months. The wine has 14.5% alcohol by volume and the bottle is sealed with an agglomerated cork. 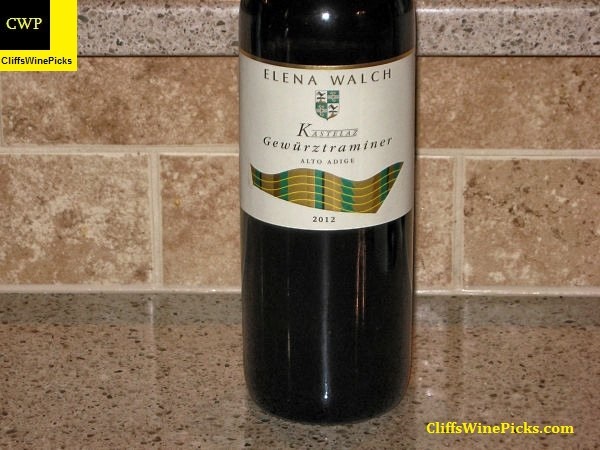 This wine is 100% Gewürztraminer from grapes grown in the 15 acre Kastelaz Vineyard. This vineyard has been regarded as a classic site for Gewürztraminer for many generations. This vineyard is situated on a very steep hillside above Tramin, the birthplace of Gewürztraminer. The grapes are very carefully selected for ripeness during two harvests. Before pressing, the crushed berries are cold macerated for 6 hours, after which the juice is clarified. Temperature-controlled fermentation is in steel tanks with selected, inoculated yeasts. The wine remains on its lees, with lees stirring, until bottling the following spring. 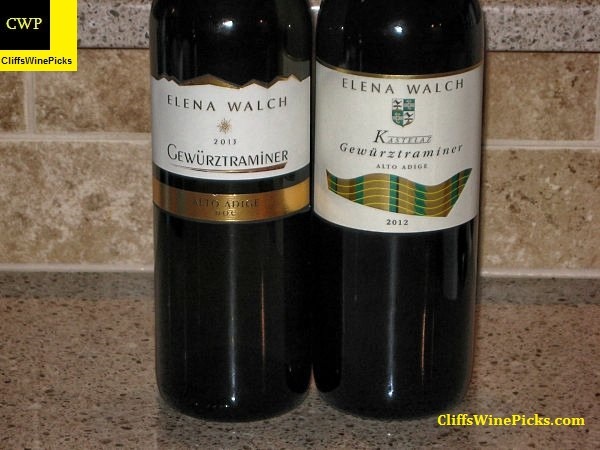 After enjoying these two wines, I have to agree with the prominent Italian wine magazine Gambero Rosso, Elena Walch is truly the Queen of Gewurztraminer. These wines are special and at the suggested prices, these both offer outstanding value. The winery suggested serving these wines with Asian cuisine and I agree with their suggestion. With the touch of residual sweetness, these wines would also be very easy to sip on their own either before or after a meal.